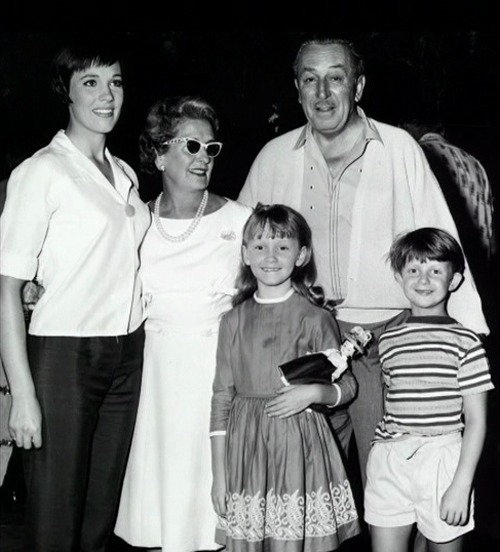 Julie Andrews pictured with Walt Disney, as well as the two children from Mary Poppins. . Wallpaper and background images in the Mary Poppins club tagged: julie andrews walt disney mary poppins cast. This Mary Poppins photo might contain gut gekleidete person, anzug, hosenanzug, pantsuit, oberbekleidung, überkleidung, overclothes, kleid blues, kleid weiß, and kleid-blues.